Add a little fun and sparkle to your party! 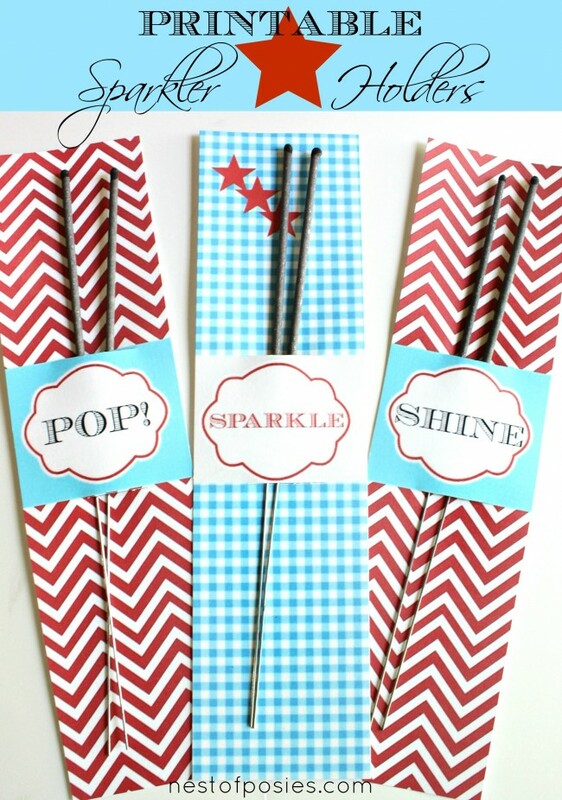 These free printable sparkler holders to create a spark of summer memories. 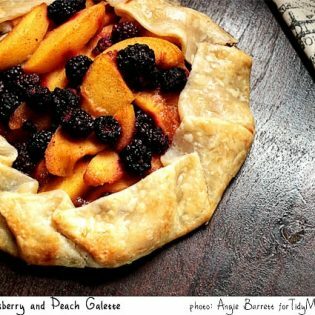 Hello TidyMom fans! 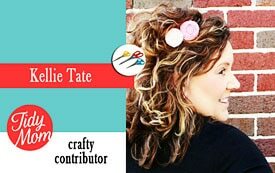 It’s Kellie once again from Nest of Posies & let me be the first to say Happy Summer to all of you! Memorial Day weekend has always kicked off our Summer here in the South. 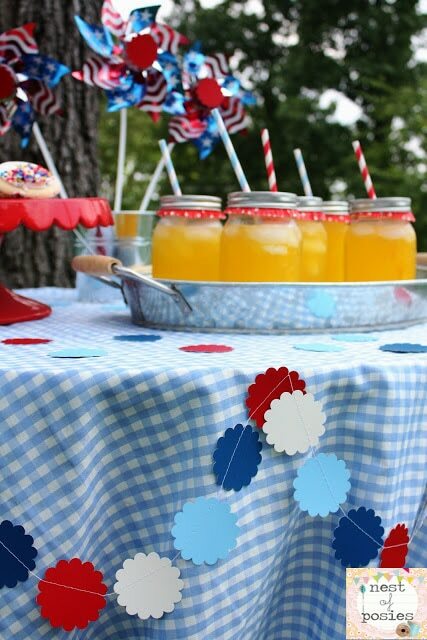 It’s time for picnics, summer salads, baseball, water balloons, pool parties & celebrating our Nation’s Summer holidays. I am so excited that Summer has finally arrived! We always try our best to do the holidays up right with all the trimming & festivities! I had the idea to make these Sparkler Holders last week, so that our family & friends could use them & we could all keep track of our sparklers easier. Last year I remember trying to grab some out of the box & hand some out to the neighborhood kids, then use another hand to light them, and then grab another one for the next guest, etc. It was too time consuming & I wasn’t able to enjoy all the sparklers! I’m sure many of you are shaking your head in agreement, especially if you have younger kids. You can’t keep up! This way, they’re all there & all you have to do as the hostess is go around with a lighter to get them started! Obviously you can place as many as you’d like in the holders, but it’s all organized for you & your guests. Use the box files down below to download & print your sheets out. I recommend using white cardstock when printing. Use your paper cutter or scissors to cut & divide the holders. 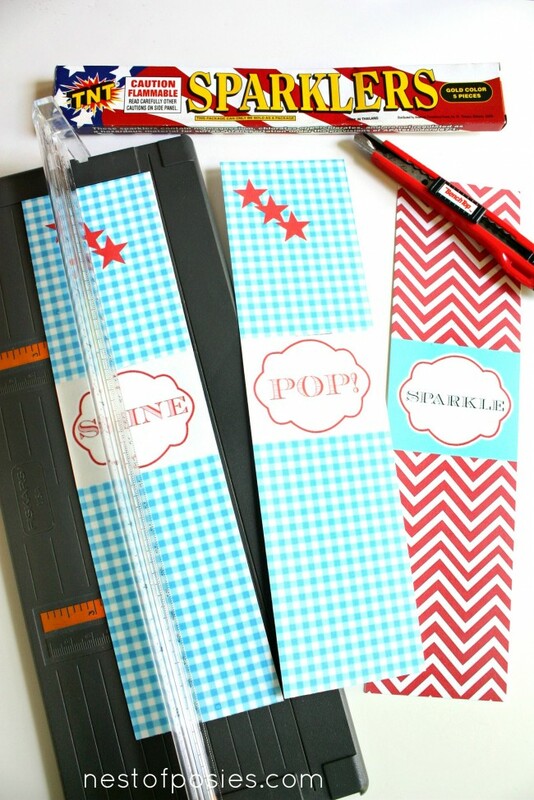 Then use a box cutter or razor blade to cut slits on each side of the word caption & add your sparklers! From start to finish, you can do several of these holders in a matter of minutes! I’m all about the quick & easy! There’s nothing like sparklers in my opinion! They truly can spark the memories of Summers from long ago & of families & friends. They really are magical if you ask me! Wishing you all a lovely Summer holiday filled with the ones you love! thanks for having me over, Cheryl! Happy Memorial Weekend!!! Pingback: What are you doing for the holiday weekend? So cute and festive! Thanks for the printables, Kellie! thanks Steph! happy holiday weekend, to you & your beautiful family! Pingback: Great Ideas -- Patriotic Ideas!! These are so, so cute! I love the paper, the words, EVERYTHING! What a fun idea for summer. Thanks so much for sharing. Happy Memorial Day weekend! Cute ideas! I love this time of year. Thanks for sharing and giving me more fun ideas! I must be doing something wrong. I cannot see the box file on my page to click on for downloading the Sparkler Holders. I tried pushing every picture and what I thought might be the link on the page but nothing happened. : ) Plus there is a big blank area on my page where I think the download link is suppose to be. I’ve never had a problem before with your pattern downloads. This is a first. I even checked the Christmas printable download at the bottom of your page to see if it worked and everything was fine with it. Thank you, Cheryll. You have such good ideas and I’d hate to miss out on this one. i am so sorry you are having issues! if you hover over the bottom right hand corner, you’ll see an arrow symbol, which is for downloading. if you hit that, it should download the file for you. depending on which programs you have, you can print from there. i just re-checked everything on my end & was able to do it by was of just printing from my regular printer, and i also tried it in my picasa files. hope this helps! I looked all over my page and cannot find an arrow like you describe, actually no arrow is to be seen anywhere at all. I do not have a PC or printer of my own. I download the printables on my iPad, then use my daughter’s printer. I’m not sure how Cheryl does it when she puts her printables on the page for us iPad users to download her printables. I just know the arrow/link is very easy to see and use. Maybe something different needs to be done for my iPad to get your printable to show me it’s arrow/link. If this is too confusing and I’m the only one having problems, don’t worry about it. I’ll understand. : ) Have a great Memorial Day! i am so sorry you are having issues. just wanted to check & see if you hovered over the arrow symbol in the bottom right hand corner? that’s the download button. from there you should be able to save it to a file & print using your regular printing software. hope this helps. 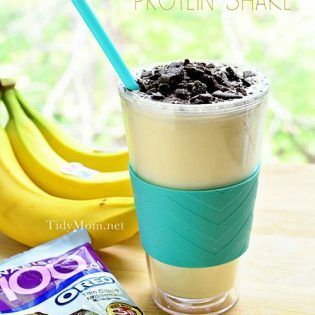 so super cute and easy! Perfect for this weekend! What a great idea!! I agree totally with you about missing the sparklers because you are lighting them all. This is so fun and cute!! Thanks so much for the great idea!! 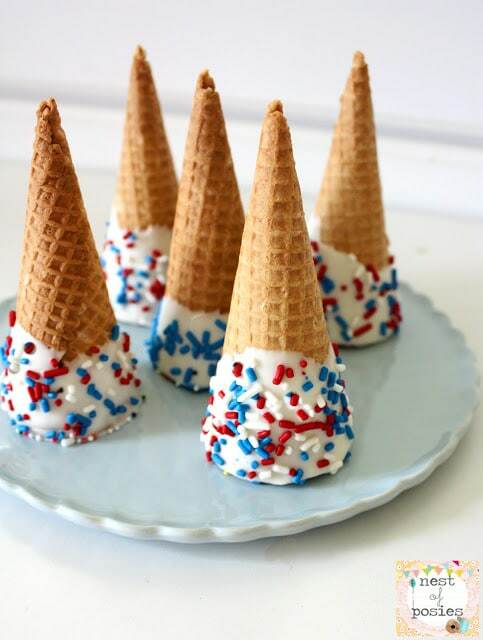 we included this on our favorite Fourth of July Crafts and Snacks list! thanks for sharing. I, too, am on an iPad and cannot print these. 🙁 Are you able/willing to add a link to the download? Heyyyy I’m just getting into being crafty and I’m about to take on doing our family reunion in July in your opinion is it cheaper to print things yourself or buy them? I’m just wondering because isn’t paper a little more expensive than normal paper?? ?